An industry resource for designing and constructing Passivhaus buildings in Canada full of information & resources. Presented by Passive House Canada, the national association advocating for healthier, more comfortable buildings that contribute to a sustainable future. A research project aiming to determine how tall one could push the Passivhaus standard, in collaboration with colleagues at the Passive House Academy, engineers Buro Happold and cost consultants Gardiner and Theobald. 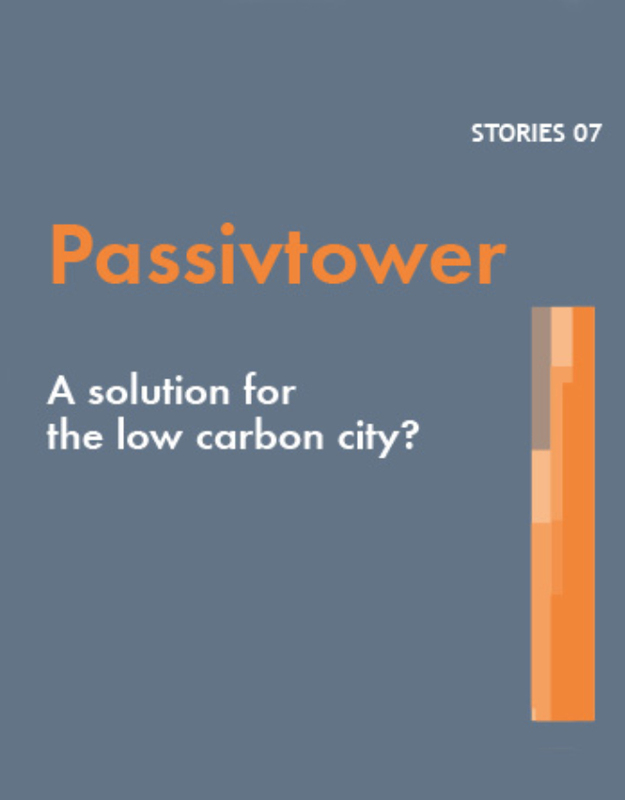 The goal of their research has been to design a tall passivhaus building - a passivtower - which could offer a high density low-carbon housing solution for cities. Building Fabric Thermal Performance of Passivhaus Dwellings - Does It Do What It Says on the Tin? - David Johnston, Centre for the Built Environment (CeBE) Group & Mark Siddall, LEAP. 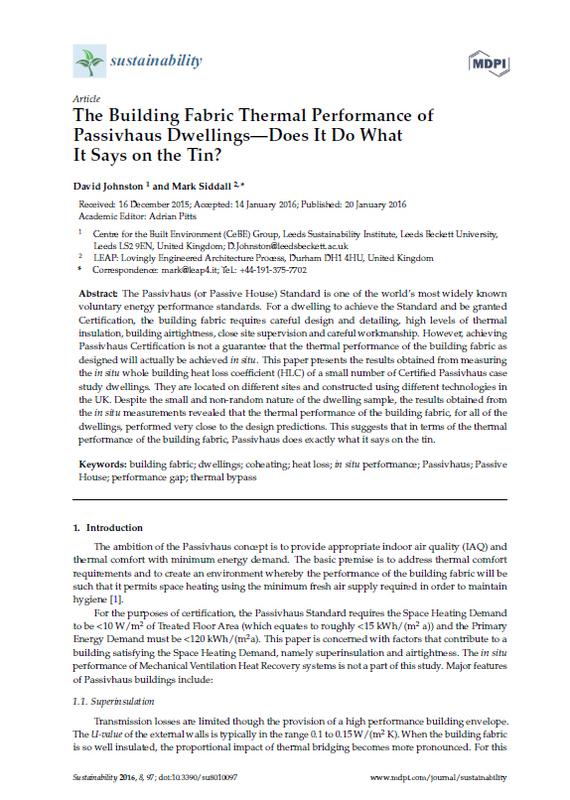 This research paper presents the latest understanding of Passivhaus performance and examines building fabric in particular. 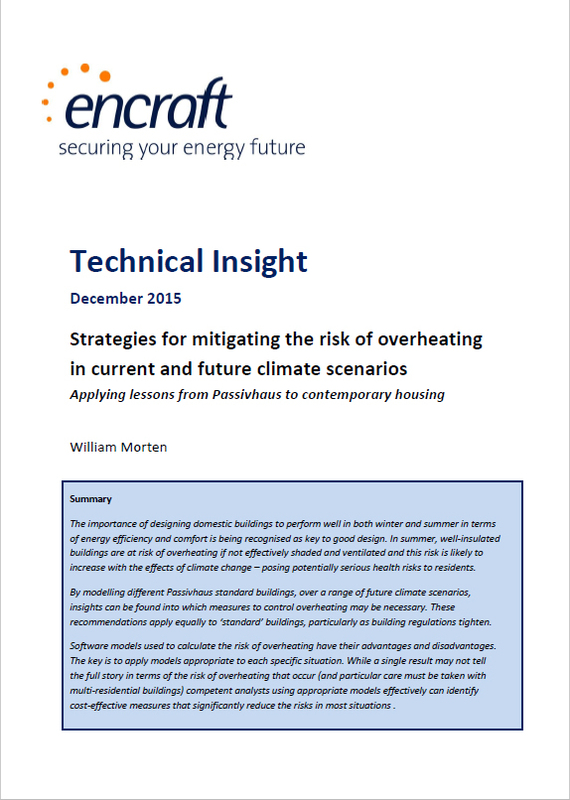 By modelling different Passivhaus standard buildings, over a range of future climate scenarios, insights can be found into which measures to control overheating may be necessary. These recommendations can also be applied to ‘standard’ buildings. The air tightness testing protocol is not the same for Passivhaus Certification as it is for UK Building Regulations compliance. 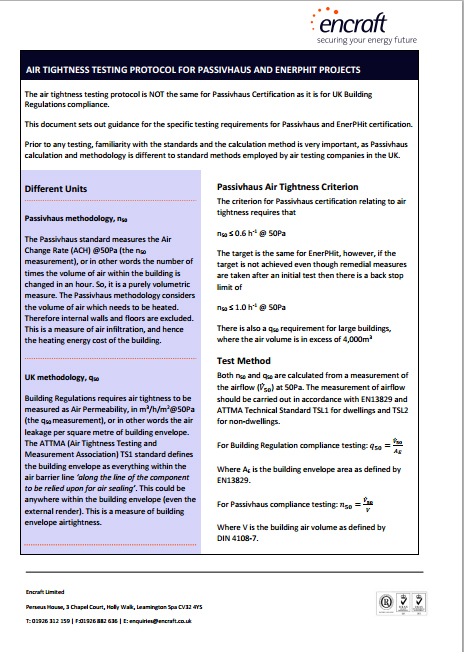 This document from Encraft sets out guidance for the specific testing requirements for Passivhaus and EnerPHit certification. 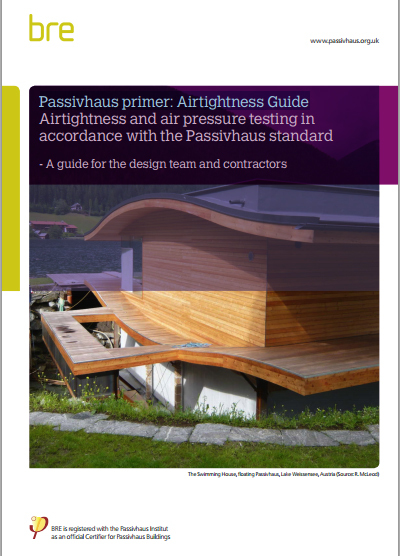 Airtightness and air pressure testing in accordance with the Passivhaus standard - A guide for the design team and contractors. Be.Passive: Lessons learnt from the Belgium Passivhaus experience - Benedict Binns, Mark Standen, Adam Tilford & Kym Mead. Commissioned by the Centre for the Built Environment (CBE), this report aims to disseminate how Brussels as a region may offer a guide for a UK city or regional approach to developing a Passivhaus standard. The paper considers whole life costs of four different Passivhaus designs, and accounts for both capital costs and running costs over 30, 60 and 100 year lifetimes. 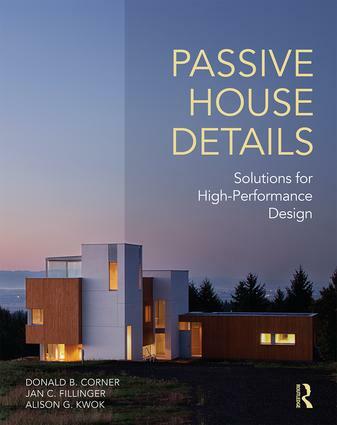 Passive House Details Solutions for High-Performance Design, 1st Edition - Donald B. Corner, Jan C. Fillinger, Alison G. Kwok, Routeledge. Introduces the concepts, principles, and design processes of building ultralow-energy buildings. The objective of this book is to provide design goals, research, analysis, systems, details, and inspiring images of some of the most energy-efficient, carbon-neutral, healthy, and satisfying buildings currently built in the region. The Passivhaus Designers Manual is a comprehensive technical guide available to those wishing to design and build Passivhaus and Zero Energy Buildings. It includes in depth information on building services, holistic design guidance, practical advice on procurement methods and case studies from the UK, Europe and the USA. 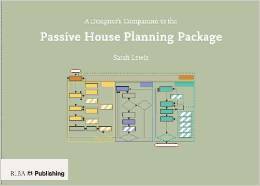 Fully supported and endorsed by The Passivhaus Institut, this book provides illustrated step-by-step guidance, ideal for practitioners and students looking to utilise PHPP as a design tool. 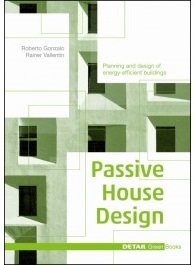 This book shows how much scope for design there is in passive houses and explains design strategies that lead to better passive buildings. This book presents a series of innovative and best practice case studies of residential low energy retrofit projects, and illustrates what has been achieved in UK practice. 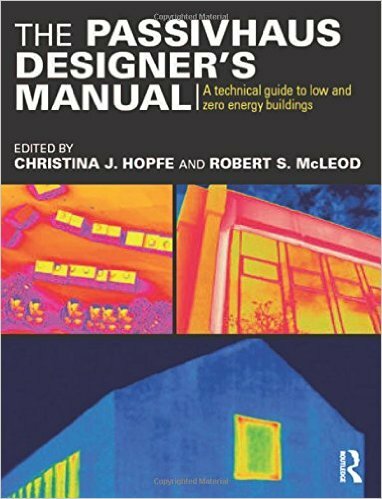 This book contains clear underlying building science relating to Passivhaus Design and the key principles involved.